Make sure your wishes and end-of-life choices are understood. Discuss topics often seen as taboo like wills or estate plans. Prevent confusion about assumed wealth transfer. Navigate tough conversations in a safe space. Unite differing opinions on equity/fairness. Encourage the next generation to be good stewards of your wealth. Leave a legacy that goes beyond money. Strengthen family ties through shared values and vision. Put your mind at ease knowing your goals have been clearly understood. Would regular family meetings boost communication and understanding? Take a peek inside the program. Capture your family’s mission statement, family values, and long-term vision. Use our pre-meeting checklist, record meeting details, and document where important files are stored. Take a look how how those lessons aren't translating into actionable advice for the next generation. Millennials and retirement: Irrational optimists? Millennials are optimistic about their retirement future, but based on how much they've saved so far and the debt they are taking on, should they be? By 2025, millennials will represent 75% of the global workfoce. Read how those from roughly 21 to 40 years old think they're doing and where they might need your help. In exploring differences among the Sandwich generations, we spotted several areas where men and women were answering questions in notably different ways. See how those differences might impact the way you approach supporting your clients. Adding another layer of insights to last year's findings, we look at the range of perceptions, preferences and, most importantly, actual preparedness comparing Boomers, Gen X, and now Millennials. Explore where history seems to be repeating and where the younger generations are learning lessons from generations past. The graphics below reveal how a breakdown in communication, preparation, and trust can lead to misfortune. The Legacy Portrait could help your family start communicating. 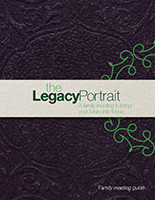 Worksheets to help plan and document your family's Legacy Portrait journey. Use this checklist to help ensure your first family meeting goes off without a hitch. Use this Family Document Locator to record where your important files are safely stored, and how to get ahold of them quickly. Use this template as a way to document what you stand for as a family. Capture your mission statement, family values and long-term vision. Completed so many family meetings that you filled up your family meeting guide? Download printable extra copies below. 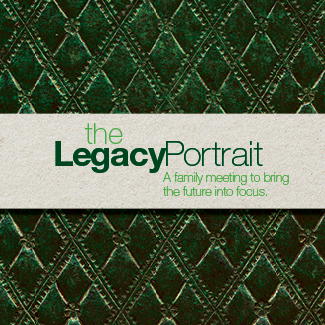 Ask your financial professional how the Legacy Portrait could help your family start communicating.